Modern equipments such as rebar cutters are used in construction of high-rise structures that rely fully on rebar. Rebar cutter is an invaluable powerful tool; compact, lightweight, and simple enough to cut the rebar at great speed. Let us go through a quick guide to buy rebar cutter online. Reseller with a reputation for quality – Look for the best well-established reseller who sells high quality rebar cutters. Search and compare to choose the best. Select a wholesaler who has an outstanding reputation in this field to get the best product that will serve for a lifetime. Look at specifications closely – Look for the Specifications that suit your needs. It is advisable to go for a single phase electric motor with 220-240V for quick and powerful operation. A powerful motor will increase the efficiency of the machine and speed up productivity. Speed of operation and maximum cutting diameter – Choose a rebar cutter that can cut rebars of a maximum diameter of 32mm. This is highly recommended to help handle a wide range of sizes to be cut. Speed is also important. It is best to choose the rebar cutter which takes around 3 seconds to make a quick cut. In the case of cutting smaller diameter rebars, the cutters should not take more than 2.5 seconds. This lightning speed in cutting helps to increase productivity. Easy portability – Portable rebar cutters are lightweight and can be easily transported to any job site. It is best to opt for a rebar cutter that comes with a set of accessories that will increase the portability and convenience of the equipment. A carry case, maintenance kit, and safety guard for the safety of the workers will make the equipment a lot more useful. 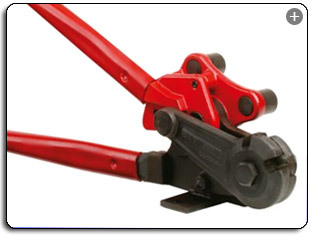 Rebar cutter offers a safe and pleasant working environment for the staff involved in this work. Opt for a free trial or consultation before purchasing rebar cutters and this will help to understand its handling in great detail. By having a feel of the actual operations, it is easy to make a choice, rather than having to adjust with operations that may be complex.